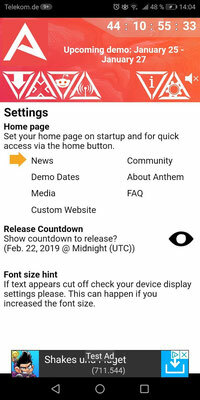 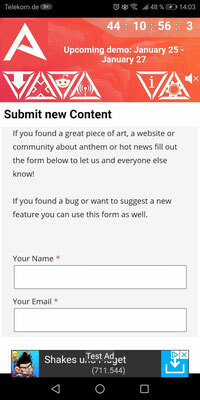 The free "Companion for Anthem" mobile app allows you to get the latest news and updates about the upcoming game Anthem. 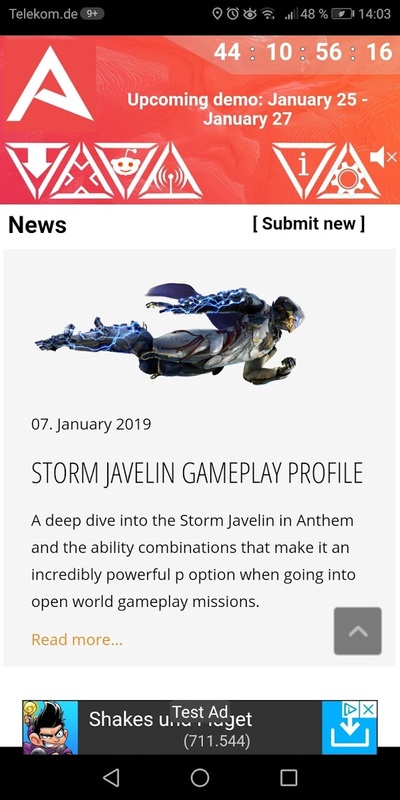 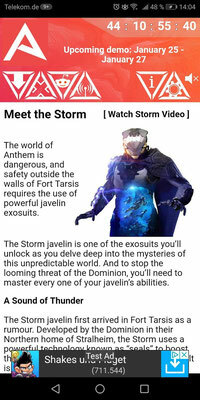 It includes information about the game, playable classes (Javelin suits), FAQs, media downloads, community content and more. 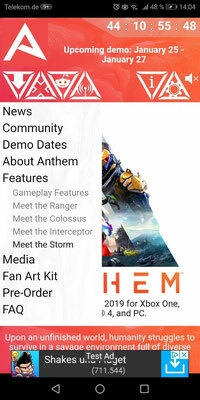 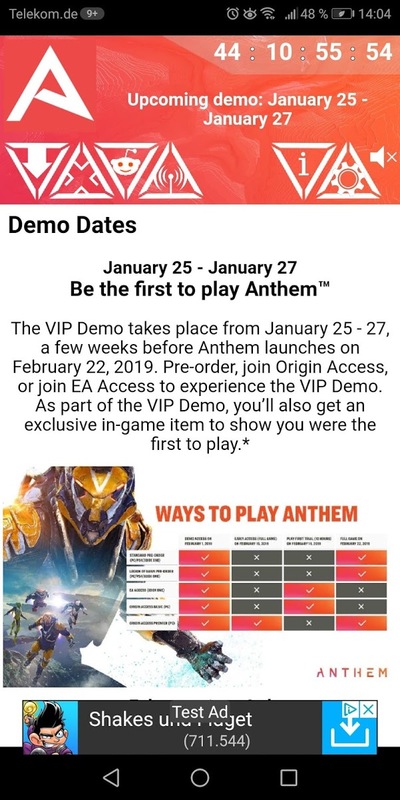 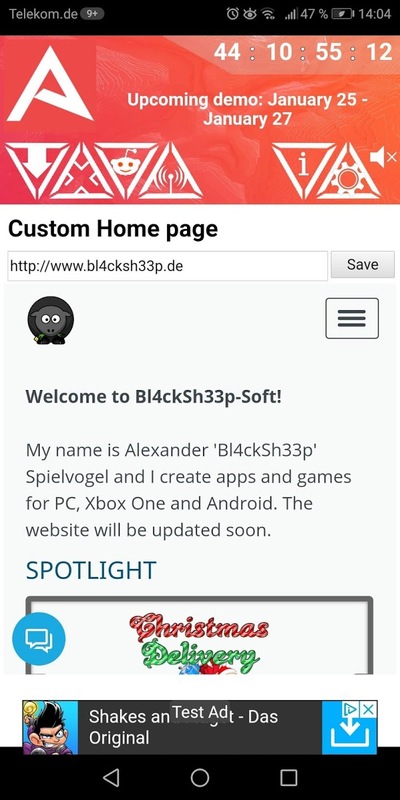 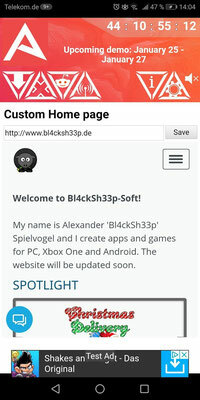 This app was created under Electronic Arts’ Fansite Kit Terms using materials from Anthem. 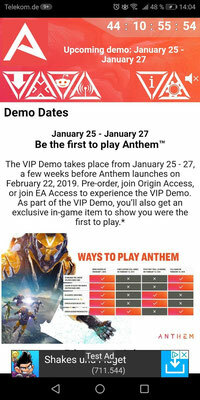 It is not affiliated with BioWare or EA. It should be available for iOS / iPhone soon!